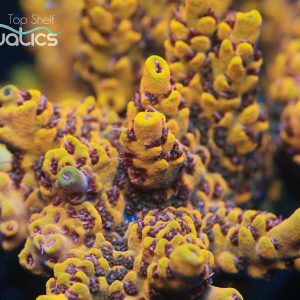 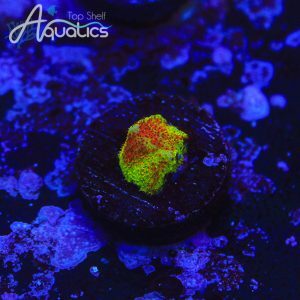 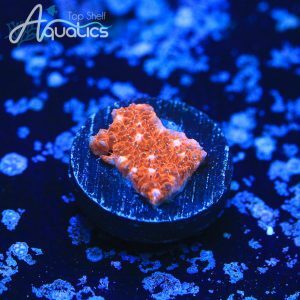 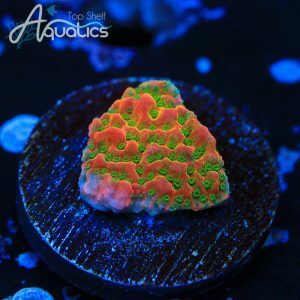 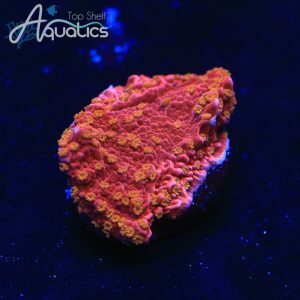 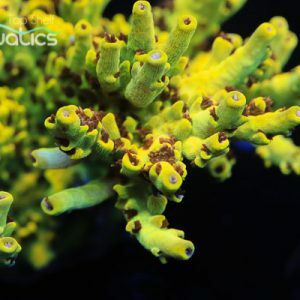 Red polyps transition to orange and yellow as they crawl across this stunning coral. 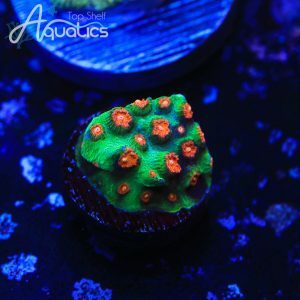 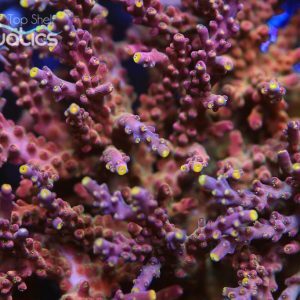 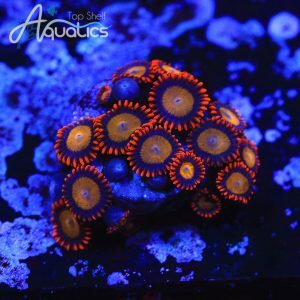 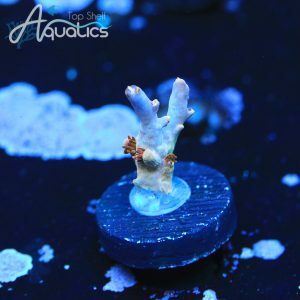 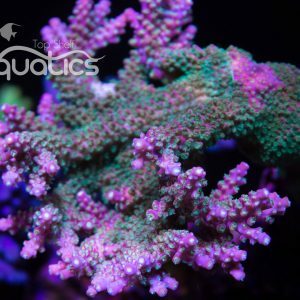 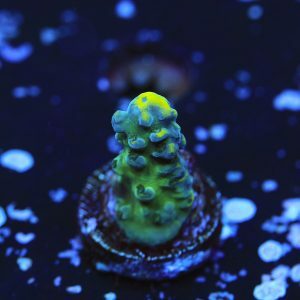 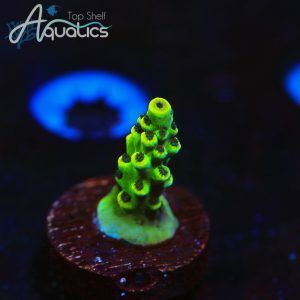 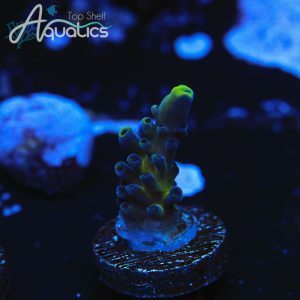 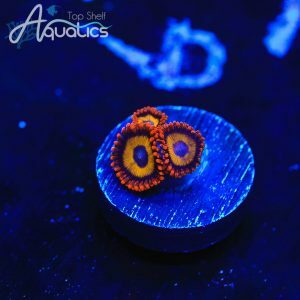 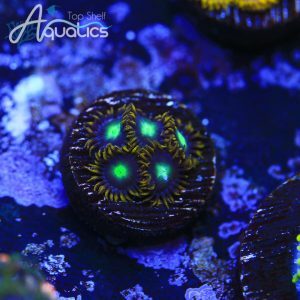 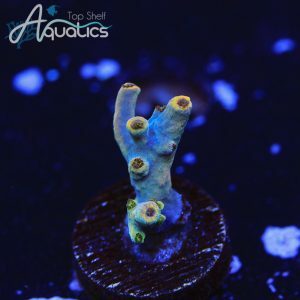 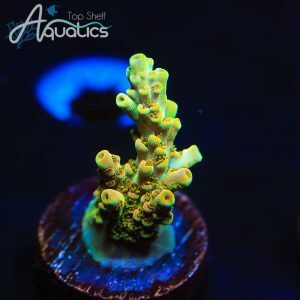 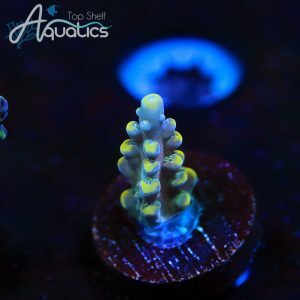 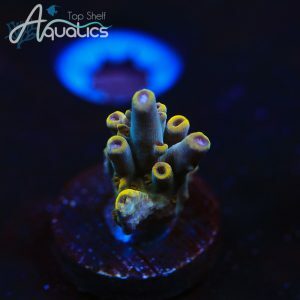 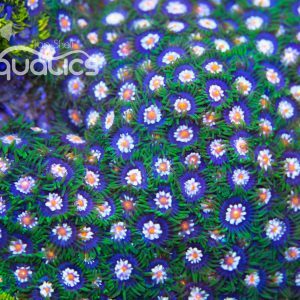 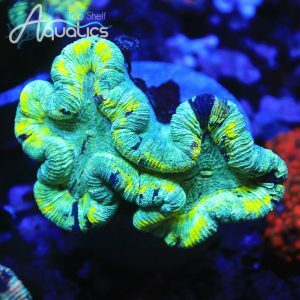 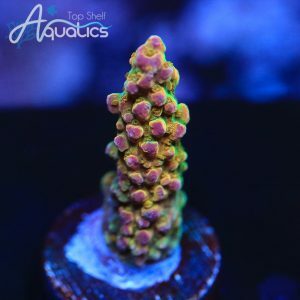 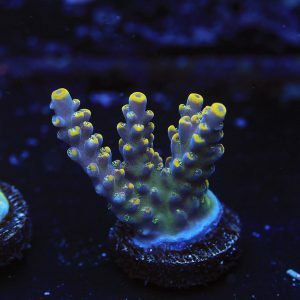 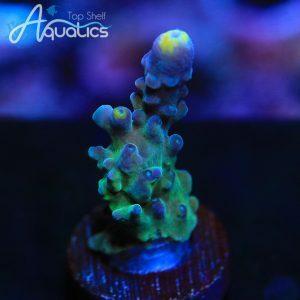 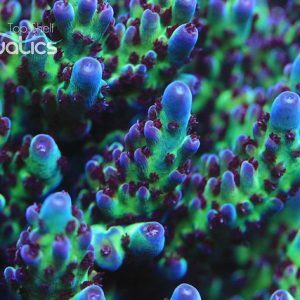 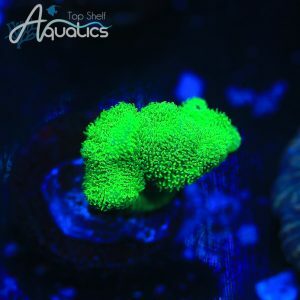 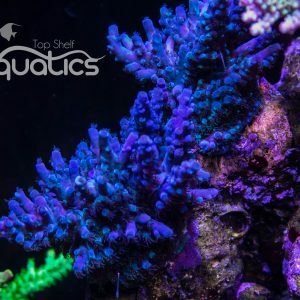 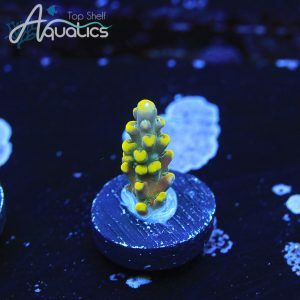 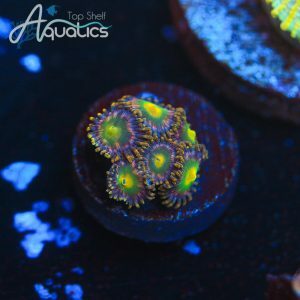 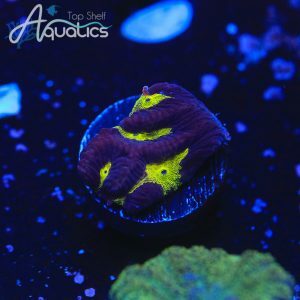 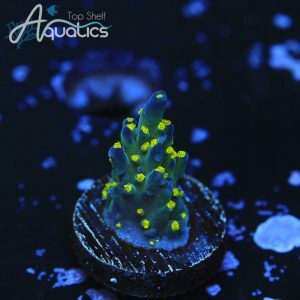 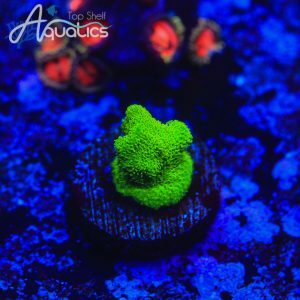 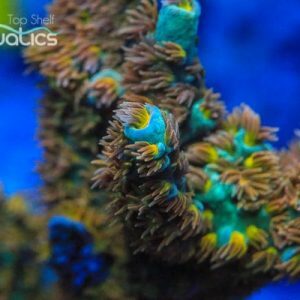 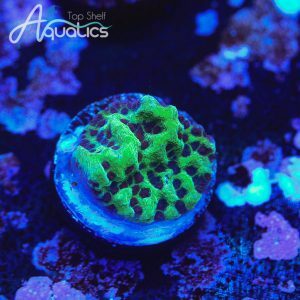 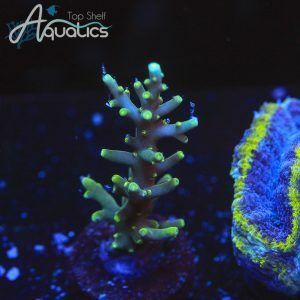 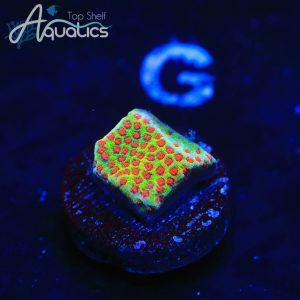 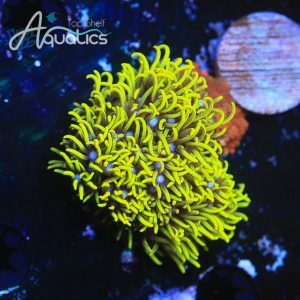 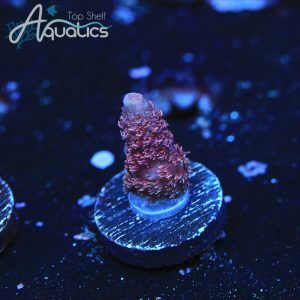 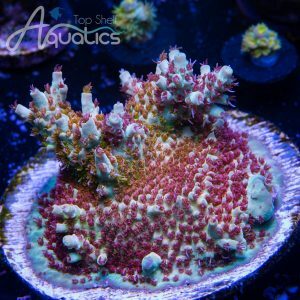 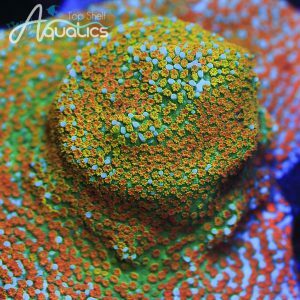 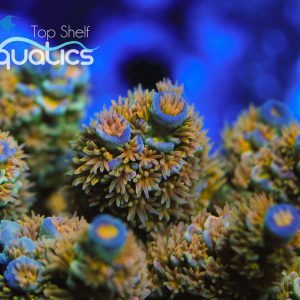 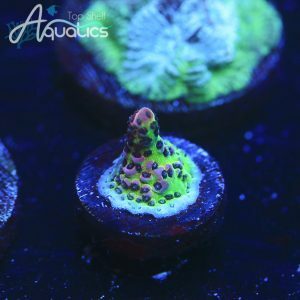 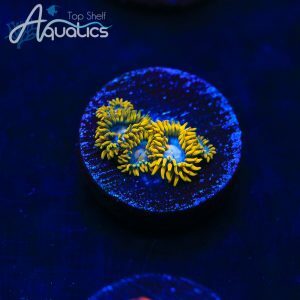 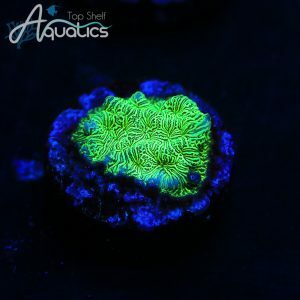 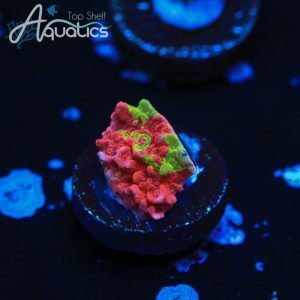 The steel blue base really allows those polyps to stand out! 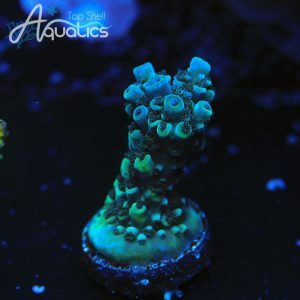 Price is for a 3/4" frag.